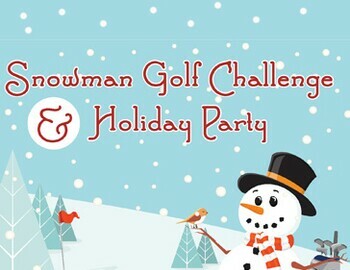 John F. Byrne's annual Snowman Challenge will take place on Sunday, December 18. The event will be a shot gun start that kicks off at 10AM. Groups will be 2 players each and you can only use your 8 iron and putter. $30 per player includes 18 holes of golf, as well as lunch following your round in the clubhouse. Call the pro shop today to book your group!